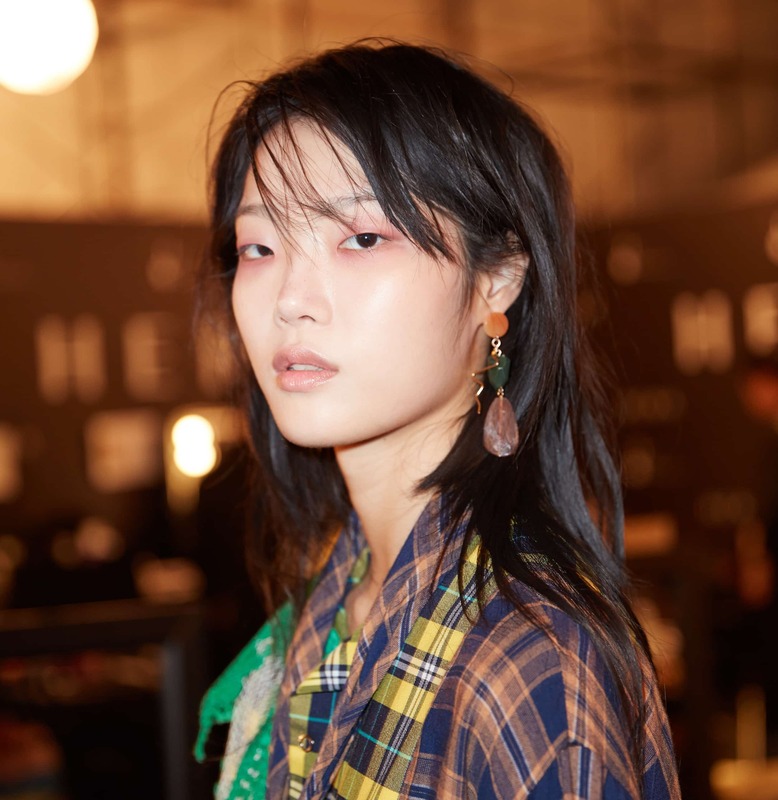 The fashion scene in Seoul has never been one to shy away from the unconventional. Lauded for its vibrant K-pop scene over the past decade and more, the country has seen streets become a catwalk for weird, beautiful, and gender-bending ensembles that these idols have inevitably inspired. If non-conforming style is your jam, then the sculptural Dongdaemun Design Plaza during the HERA Seoul Fashion Week would have been the perfect hangout for enough #streetstyle inspirations to tide you through the upcoming Spring/Summer 2019 season. Fashion may have been a major focus, but the dramatic ensembles could only outdone by the beauty looks that came alongside. Like K-pop, K-beauty has evolved to become an entity on its own, its signature translucent-esque skin and doll-like features emulated by millions worldwide. 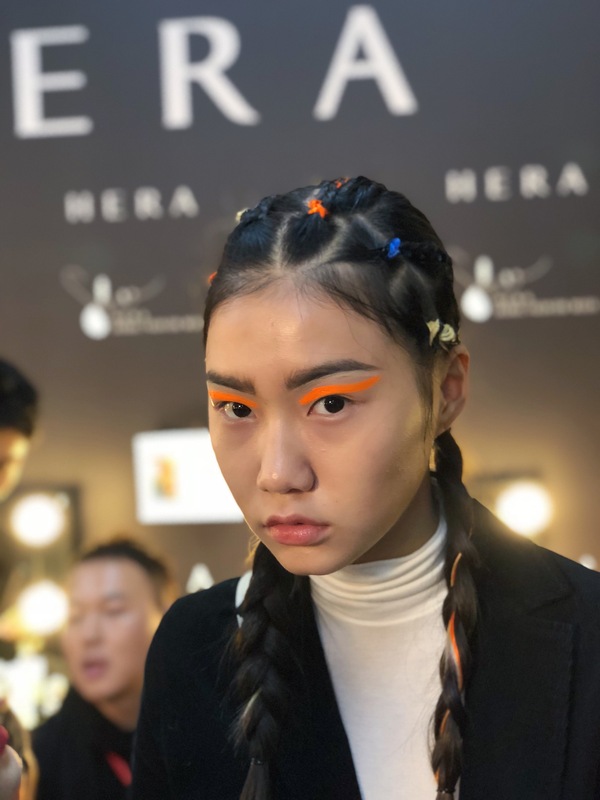 Hera — Seoul Fashion Week’s official makeup brand — brought nothing short of a plethora of looks that we’ll definitely be seeing a lot on the trendy streets of Gangnam come spring. The best part? They’re effortless to achieve. Forget what you know about eyeliners and eyeshadow. Fila x D-Antidote taught us that a dash of neon that hovers just above the eyeline can do an equally impressive job of stopping people in their tracks. Matching braids (more below) are optional, but encouraged. The schoolgirl favourite gets a grown-up twist for spring. 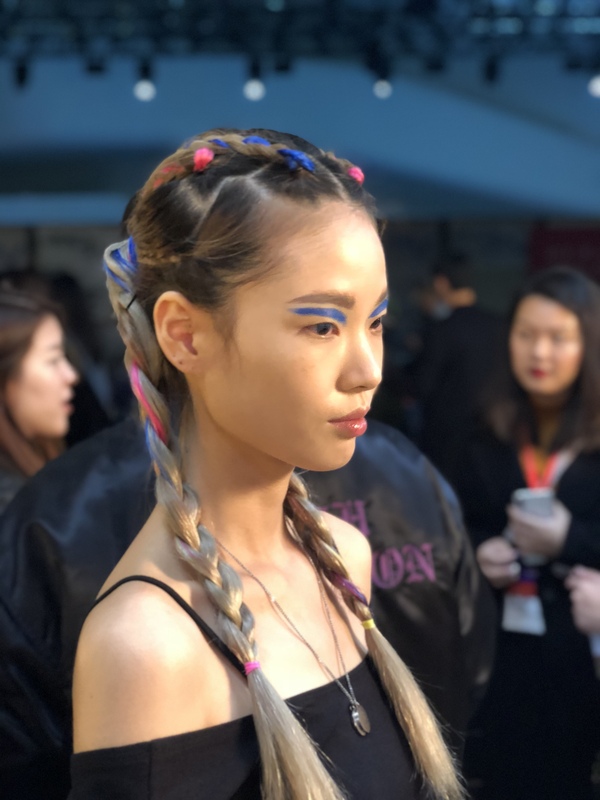 At the same show, similarly-hued neon extensions are woven into braids and twists, highlighting the intricacies of the look. In taking the expression “sparkle in your eye” quite literally, Romanchic sent models down the runway with full-on glitter over the eyelids. 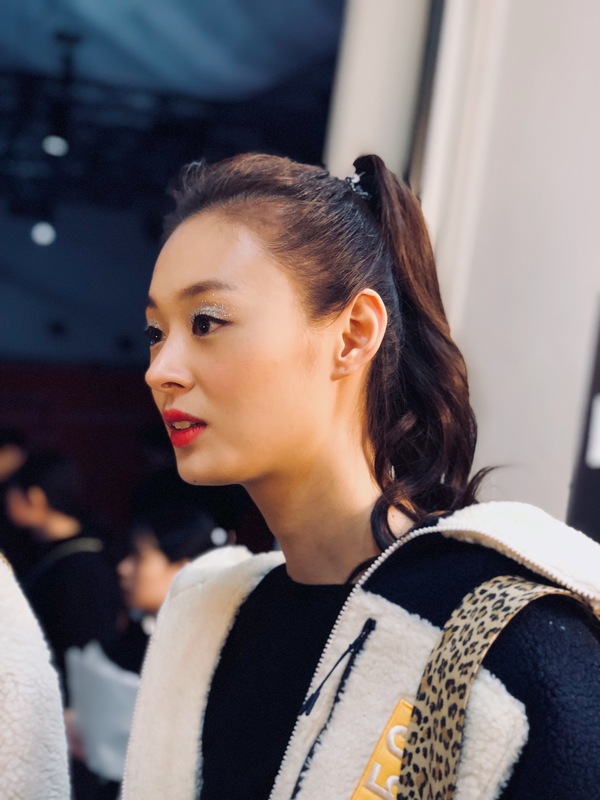 The look — equal parts bold and girly — was matched with a sporty high ponytail and flushed cheeks — the kind you get after a morning run — for maximum flirtiness. Alas, the buzzword of the century has made it way into the world of beauty. Freshly flushed cheeks were accompanied by what Lee calls “vitamin red” lips. The energising shade — inspired by superfoods like rhubarb — sees cherry or a mix of coral and red dabbed gently onto lips with a finger. Imperfection is key here — you don’t want the colour to be applied uniformly, but with a subtle two-tone effect for a natural, undone look. 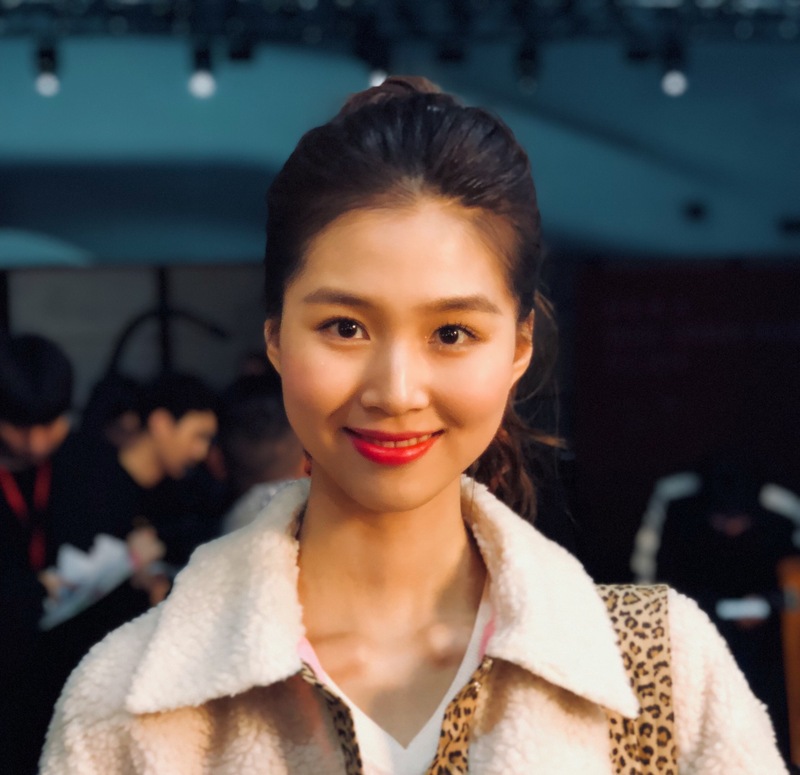 The dewy look that the Koreans have come to be known for gets upgraded for spring by keeping the cheeks paler than ever. Light coral and pink are used to gently contour the face, and then accompanied by mascara that’s applied only at the tips of eyelashes for inconspicuous volume — perfect if you’re pressed for time. If you have porcelain skin, you’re already halfway there.